Well its that time of year again, the Hospital Records Advent Calendar means its Christmas. With Christmas around the corner and the kids seem to be getting all the treats but what about us? 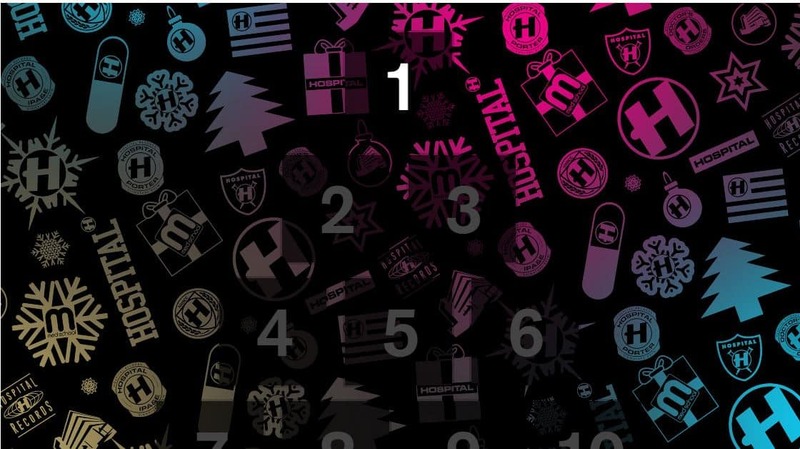 Well the good folks over at Hospital Records have it covered for us Drum n Bass addicts anyway. 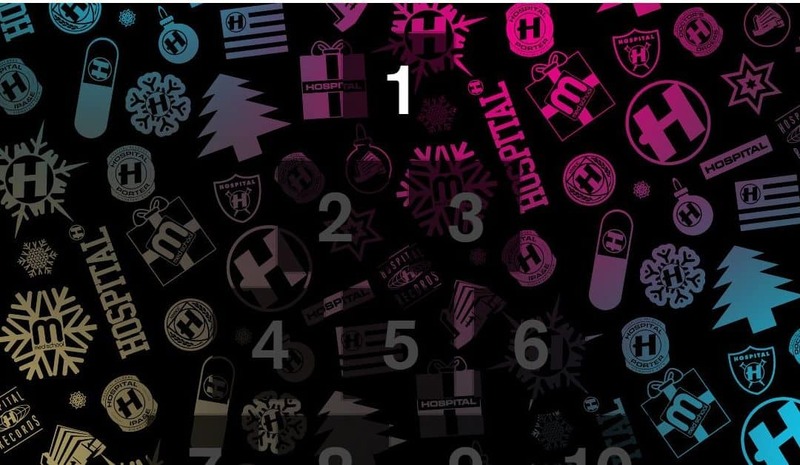 Its the time of year when they release the Hospital Records Advent Calendar. Everyday you open a new window and collect the goodies. You can get discounts on merchandise t-shirts, bags, hats etc. You can also get a lot of freebies like mixes, tracks, album samplers, playlists & wallpapers. And then you can get discounts on vinyls, Cd’s albums and more. There is something cool to be gotten everyday. There are even freebies when order from the store. Great stuff. And if nothing else, its great just to open an advent calendar and see whats inside, why should the kids have all the fun!